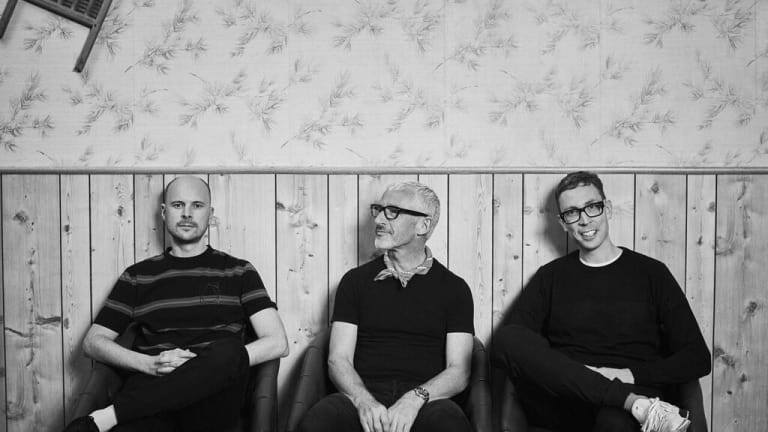 After teasing the release earlier this week, the English trance trio Above & Beyond have officially reunited with Sunderland-born singer and songwriter Marty Longstaff for "Flying By Candlelight." It&apos;s the first in a new triptych of future club classics from the prolific trio. 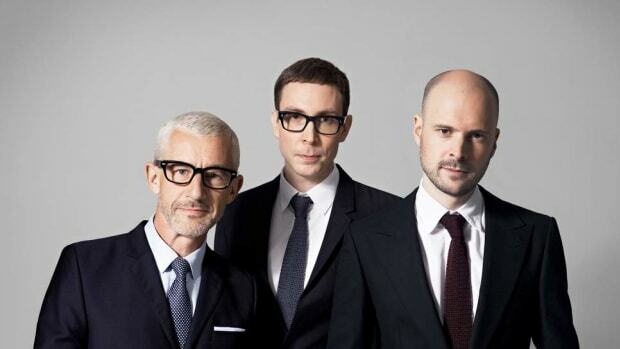 Lifted from the upcoming Common Ground Companion EP (which also includes "There&apos;s Only You" featuring Zoë Johnston and "Distorted Truth" - set for release on the trio’s Anjunabeats imprint in March) the track was debuted at Above & Beyond’s Group Therapy 300 celebration in Hong Kong last September. A&B share this ode to the elevating power of love in several flavors: Original and Club, each a beautiful serving of the songwriting chops that recently swept A&B to their second GRAMMY nomination for Common Ground album cut "Northern Soul." "Flying By Candlelight" is the second A&B vocal feature for Longstaff, who contributed the disarming refrain to Common Ground album cut "Tightrope." More commonly found performing under the moniker The Lake Poets, Longstaff has risen to prominence in recent months with the moving single "Shipyards," penned for his hometown of Sunderland, U.K. The song accompanies the opening credits to the sleeper hit Netflix documentary, Sunderland ’Til I Die. Marking the 500th catalog release on Anjunabeats, those who like their music in a tactile format will be able to get their hands on 1 of 500 limited vinyl pressings of the Common Ground Companion EP, available for preorder on the Anjuna Music Store at 5:00 PM GMT on January 23rd. 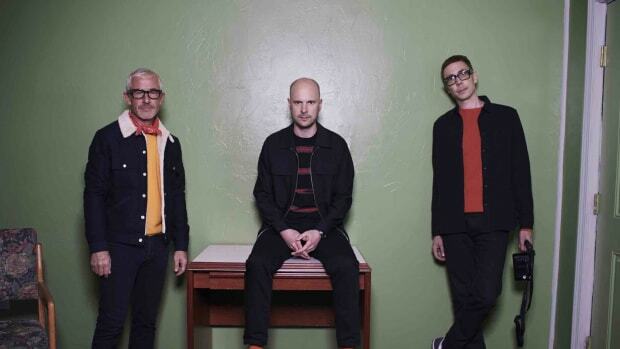 Above & Beyond’s bruising instrumental "Distorted Truth" will be released on February 8th, with Zoë Johnston’s haunting "There’s Only You" completing the Companion EP release on March 29th. Along with the release, Anjunadeep, the renowned UK label known for breaking acts like Dusky, Lane 8, Yotto, Cubicolor and Eli & Fur, presents the tenth installment of their chart-topping annual compilation series. The compilation features 37 tracks with a whopping 32 of the tracks being new and unreleased. The series will be mixed by James Grant and Jody Wisternoff. 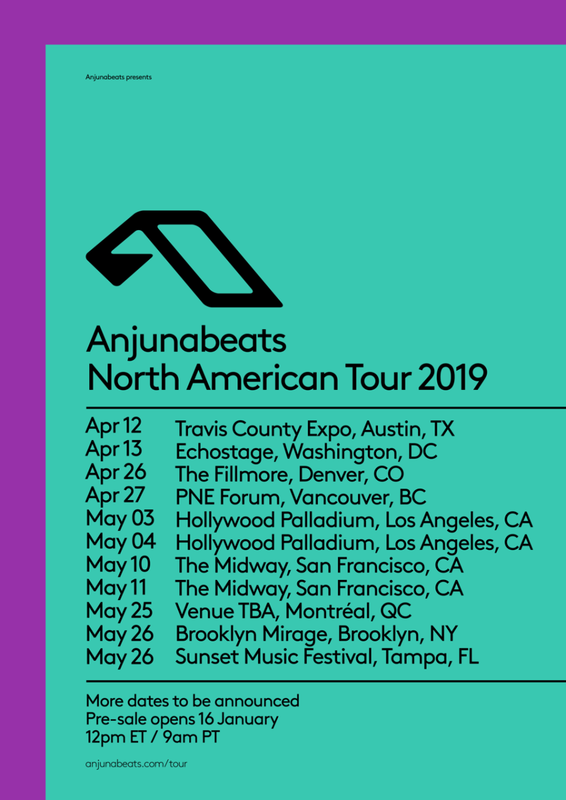 The Anjunabeats North American Spring Tour is returning to the highways of the United States and Canada following a year of hosting festival stages including Electric Zoo and EDC Las Vegas. The ten-date run showcases the labels eclectic talent pool in some of the continents premier venues, Anjunabeats biggest shows to date. Lovers of proper trance and progressive in California can double down on Anjunabeats. 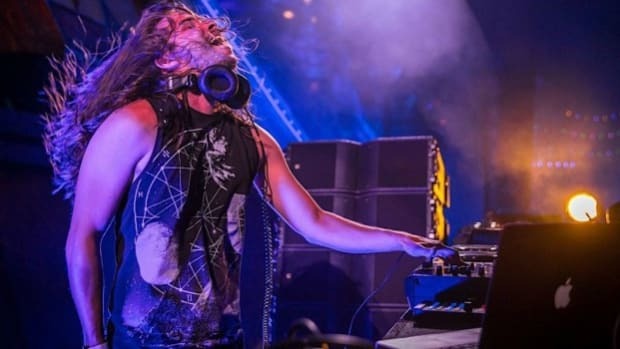 The label hosts two special weekenders at The Hollywood Palladium in L.A. and The Midway in San Fransisco - both nights promising unique, all-star line-ups.